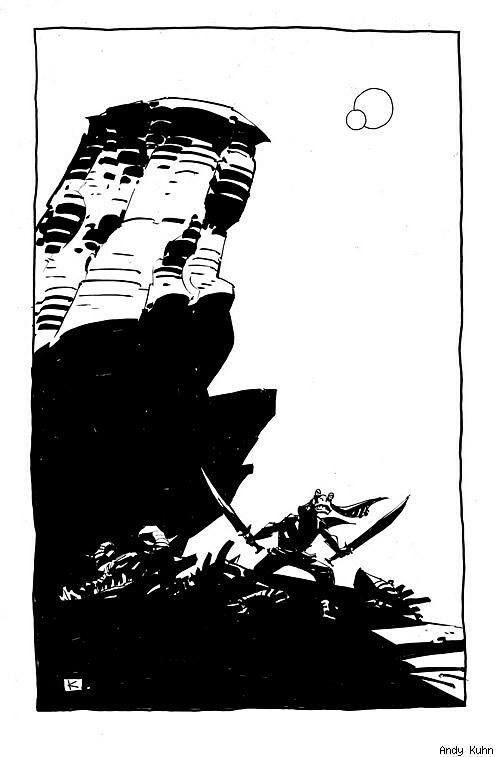 I know it's only been about a week since the last time we were singing the praises of our friends at ComicTwart, but this week, something's been happening over there that you guys are going to want to know about. 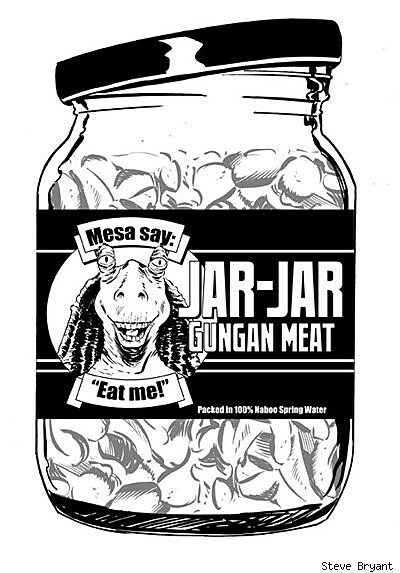 See, because the Jar Jar jar is ajar. 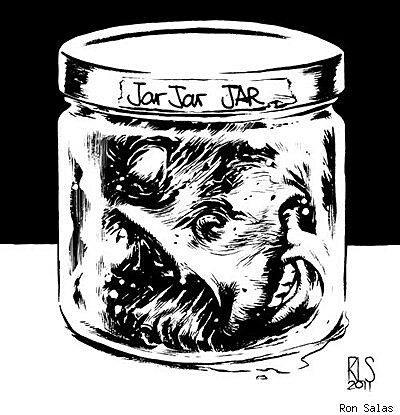 According to Kuhn, there's a secret to it: "It turns out the only way for me to make Jar Jar Binks look cool, is to draw him really small on the page!" And that one pretty much speaks for itself. 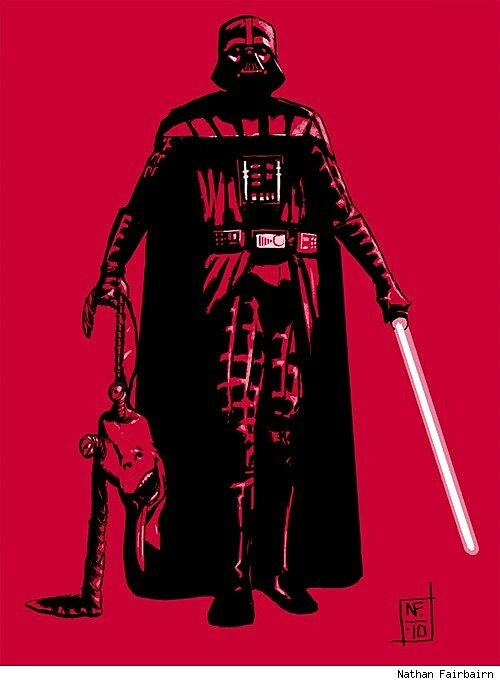 For larger versions -- and to see more -- check out the ComicTwart website!